Shopping for a table saw can be quite an exciting experience. However, when you do not know how to identify the quality model, you can really be devastated. This guide is meant to help the situation in that you can easily be able to pick the best tool for the money, without straining. Every professional woodworker needs a tool as it is quite essential in making different types of cuts. Even if you are the hobbyist, the saw will help you do high-quality cuts that will appear to be professional. Most people struggle to pick the right saw since they do not know what to look for. 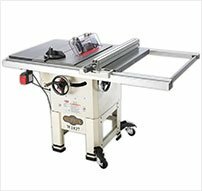 In this comprehensive guide, we will look at all the aspects that will lead you to the top rated saws. There are different types and a whole range of accessories that work with. At the end of this guide, you should be able to pick the right one for your Cutting Project. 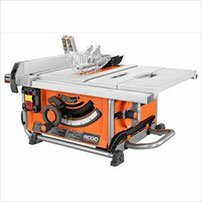 1 What is the best table saw for woodworking? 1.6.1 What Essential Features Does The quality table Saw Have? 1.6.2 What Did You need to Know Before Buying a Table Saw? 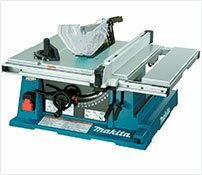 What is the best table saw for woodworking? 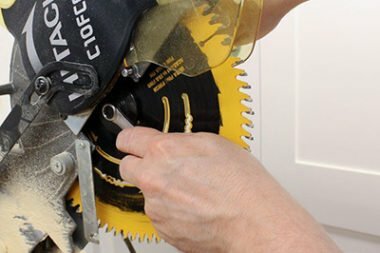 If your work mainly involves cutting large pieces of stock like a full plywood, then you may need to consider the contractor saw. This is usually large and has the benefit of providing you with a very large working surface. It is considered to be a stationary model and may not be used if you need to keep moving around. This is the best value tool as it will give you the option to cut different applications without compromising on the quality of the cuts. Cabinet saws are also suitable for big cutting tasks. They have a cabinet base and are somewhat rigid. This would be the perfect one for people with adequate space to accommodate this one. When you have this tool, then you can easily be able to cut through different applications. Portable models, are designed in such a manner that you can carry them from the one place to another. If you are shopping for a job site saw, then you should go for the portable models. Such tables are compact in size and have collapsible parts, which makes it easier to store them and also transport them. These are the latest innovation of saws as they are a combination of all the other types of saws. The fact that they combine all the best features from other types makes them ideal for so many different applications. They are quite large enough and in most cases with have wheels to move them, with ease. You will love the versatile features that the hybrid saw possess, and also be able to complete different cutting tasks. These are the main types and any model that you will settle for will be one of these types. As such, it is important too, carefully, analyze your needs so that you pick the best value table that will help you achieve the desired results. Choose the right table saw may be pretty much easy for some people. However, without the proper understanding of the basics, then it would be almost impossible to utilize it to the fullest. You should strive to understand all the features and what they are meant to do. By so doing, you will be able to use the tool in the right manner. The blade is one of the common parts and it is usually in a fixed position. The other features are easy to adjust so as to help make different cuts with your tool. When you have the right saw, you can become a professional in your woodwork. 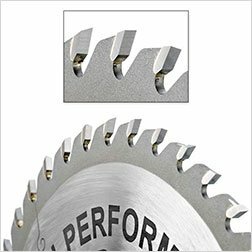 When looking at the reviews, it is important to confirm if the saw can make corner cuts, bevel cuts, rip cuts, crosscuts and angle cuts. This is a system that is designed to serve as your guide when you need to make angled cuts. It will ensure that you are able to achieve accurate cuts at all times as your stock will be guided for cutting purposes. If you wish to make bevel cuts, then you would need the bevel mechanism so as to achieve total precision. This is one of the most common components and it is a bar that will be used as a guide for accurate cuts. With a rip fence, you will be able to guide the workpiece to go through the tool and get it cut, accurately. These are some of the basic components that will enhance the functionality of saws. With the introduction of the portable ones, there are so many modern features that have been introduced. While the portable models may be smaller in size, they carry a whole lot of features that makes them versatile. However, when you need to make accurate cuts on large pieces, the permanent ones are the best choice. Due to their rigidity, they will hardly wobble when you are dealing with heavy-duty cuts. The direct motors are the ones that will directly be connected to the blade. Any power that is emitted, is transferred to the saw blade, directly. As for the belt drive motors, they will have a belt that will be used to carry the power from the motor to the blade. These are quite advanced and used in high-quality tools. The good news is that the belts are durable and will not be affected by sawdust and cutoffs. When you need more support of working surface, then you can make use of the extension tables, which give you more working area and excellent support. These will come in handy when you have shelving and joinery tasks. You can use dado set when you need to make wide cuts and straight slots, with a single pass, you will need to have dado sets. Mobile stands will help you support your saw anywhere. They will convert any table saw to become a portable model. The stands come with wheels and casters to ease movement. The blade is the main component of a saw and this is an essential feature to help you make different cuts. The motor is an integral part of the tool as it will provide power. When you have a strong motor and powerful motor, you should be able to cut even through tough applications. The blade needs to be protected and this is the role of the blade guard. This will protect the blade from kickbacks and debris that comes from the cutting process. When you need to make rip cuts, the rip fence will be ideal. They will be used as a guide for your stock. 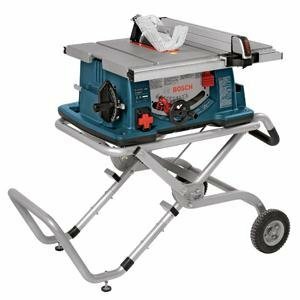 If you are looking for a job site saw, then you may need to consider having a mobile stand, which will allow you to use your table saw at different sites. The dust collection port will help you get rid of cutoffs and sawdust. This is common for professional woodworkers as it will give you great control and ensure that your cuts are accurate. You will use this feature to immobilize the shaft and your blade so that you can make adjustments, without compromising your safety. Hollow Ground Blade: The hollow ground blade is essential for making cuts on materials like acrylic. Carbide-tipped Blades: The carbide tipped blades are common in various saws. Since they have a hardened finish, they are quite durable. Rip Blades: These are for rip cuts when you need to rip boards along their grain. Cross Cut Blades: Making crosscuts can be a challenge and this is why you will need to have the cross cut blade to make these cuts to precision. Combination Blades: These are the best blades for people who need to make different types of cuts. These are referred to as combo blades. 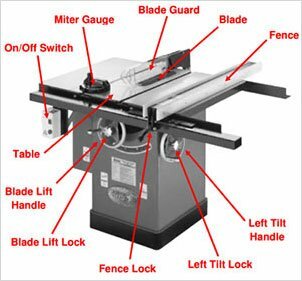 What Essential Features Does The quality table Saw Have? A good woodworking saw is one that should help you make smooth and accurate cuts. 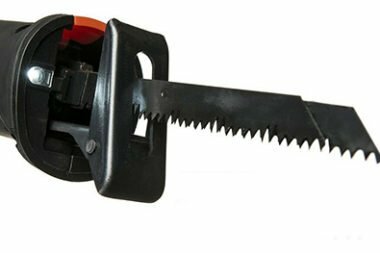 When you are looking at the saw that you want to buy, you need to look at the features as well as reviews so as to ensure that it has the capacity to make accurate cuts at all times. Some of the things that will help you in making accurate cuts is having one that works with certain accessories like the miter gauge and the rip fence. While the table saw ranks as the best power tool for making cuts, it is also rated as one of the most dangerous ones. There are many injuries that can be caused by a simple mistake with the tables saw. So, while you may be looking for a saw to make accurate cuts, it should not be at the expense of your safety. Some of the safety features to consider include an emergency switch to shut down the tool, flesh detection, anti-kickback and so on. These are features that will ensure you enjoy adequate safety. If there is one thing that should be easy and straightforward, then it is the process of making adjustments. 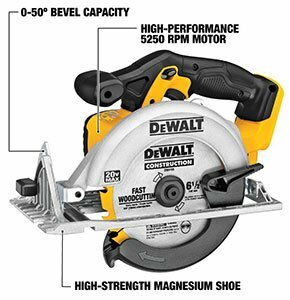 You should find the best rated saw with mechanisms that will make it easier for you to adjust your saw. You should be able to set up your woodworking saw fast and make adjustments without much difficulty. Overall, it should be easy to use and operate. 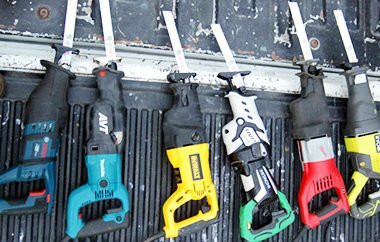 Check the compatibility with the common accessories that work with saws. This is to help you make different cuts. When you are making cuts, there will be waste materials in the form of dust and cut-offs. The best value tool is one that has proper dust control. Find a saw with a dust collection port and one that has a mechanism of having the dust extracted. When the working area is not clean, this may inhibit your visibility and cause to make cuts that are not accurate. The dust should be collected properly and removed from the dust collection unit often so as not interfere with the functionality of the saw. A table saw should be a tool that will serve you for a very long time. You should, therefore, go for a durable woodworking saw that will not break after a short while. Getting tables that are made of metal is a good choice as they seem to last longer than those with plastic components. Your choice should be confined to heavy gauge steel or cast iron, which are quite strong and durable. In addition, you may want to consider aluminum models as they light and portable, yet quite sturdy. Always pay keen attention to the materials used to make other parts of the motor, to ensure that they are also durable. 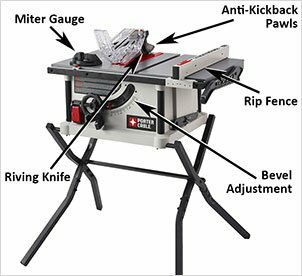 What Did You need to Know Before Buying a Table Saw? You should verify the power requirements so as to find a model that will be compatible with your power supply. When checking the power requirements, you may want to consider the motor and the power that it can generate. You can check the owner’s manual the specific power requirements of the tool that you intend to buy. The other consideration that is quite essential is the amount of space that you have. There are some models of tables that are quite huge and may require a whole lot of space. The space that you have will determine the type of tool that you will need. You should consider the cuts that you intend to be making so as to pick a model that will accomplish the task effectively. There are some brands that come with collapsible designs, which are ideal for people with limited space. Look for one that has a motor that is strong enough for your needs. You need to be sure on the type of applications that you will be making cuts on so that you can find the right saw. If you intend to make rip cuts, then you need to find a model that has adequate rip capacity and also check the depth cut abilities. If you are the job site contractor, then you would need to find a portable model. This means that you can easily move it from one point to another. As such, get one that has a compact design and wheels to facilitate movement. The quality saw should have a good blade and a blade guard. You should go for the ones with the capacity to support different types of blades so that you can make versatile cuts. Making bevel and corner cuts are one of the special attributes that a table saw needs to have. Check the bevel capability so that you can settle for the right one. If you are a professional woodworker, then you may have an idea of the type to buy. If you work from the workshop, the cabinet saw would be the best choice, while for those who move from one job site to another, it would be ideal to get a portable one. Q: What is the purpose of a stand? A: With a saw stand, you will be able to get good support and stability when making your cuts. When looking for a table saw, find one that allows the dust to fall off easily. Q: When can I use dado blades? A: There are some specialty cuts that can only be made with dado blades. When you need to make such cuts, you need to have dado inserts fitted on the tool so as to achieve quality cuts. Q: Which parts need lubrication? A: The table saw comes with a motor that is already lubricated from the factory. However, there are other pivot points that need lubrication, which should be done with dry lubricants. Q: What are the best safety features on a saw? A: There are many safety features that you should consider including anti-kickback, flesh detection and also an emergency power switch. Q: What cuts can be made using table saws? A: You can make a wide range of cuts with this tool, as long as you have the right blade. You can make the rip, bevel, corner, angle cuts and cross cuts, among others. Having come this far, you must have learned a whole lot about how to choose the right table saw. With the information that I have provided here, you should be able to make the good choice on the right type of saw that will work for you. 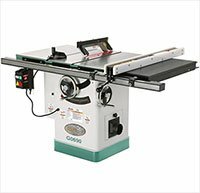 I have taken you through all the basics of the tool and provided guides that will help you choose the best table saw to serve your woodworking needs effectively. I know that this guide is going to be of great help and you will definitely be able to pick out a great model. If you found this guide to be useful, please feel free to share with others so are in search of this saw.